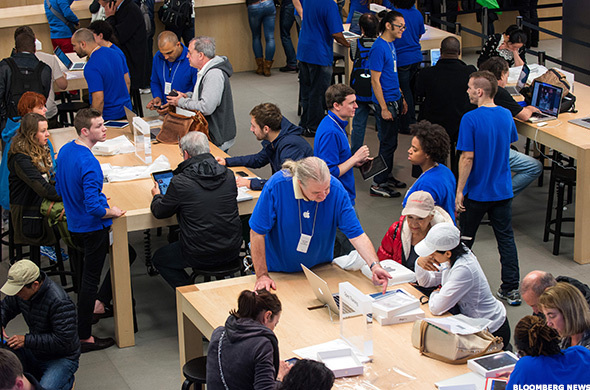 Across the globe, consumers are lining up to buy the latest Apple iPhone. 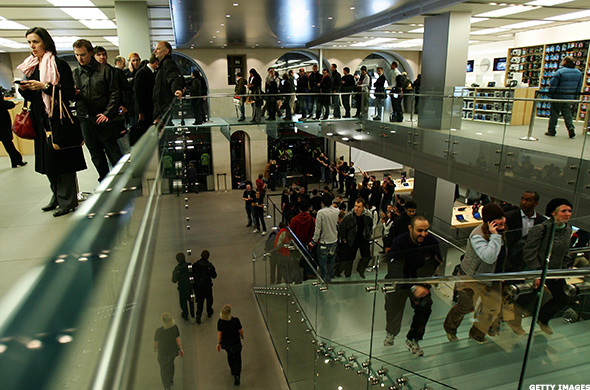 The stores they're waiting to enter look the same as they did in 2001. 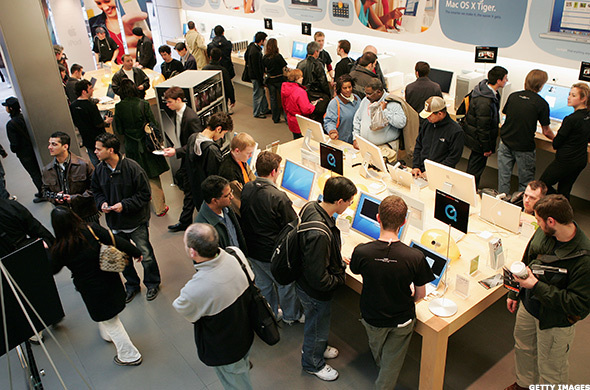 NEW YORK (TheStreet) -- Apple (AAPL - Get Report) product lovers around the globe are lining up outside the company's retail stores to shell out hundreds of dollars for the iPhone 6 and iPhone 6 plus that officially go on sale Friday. 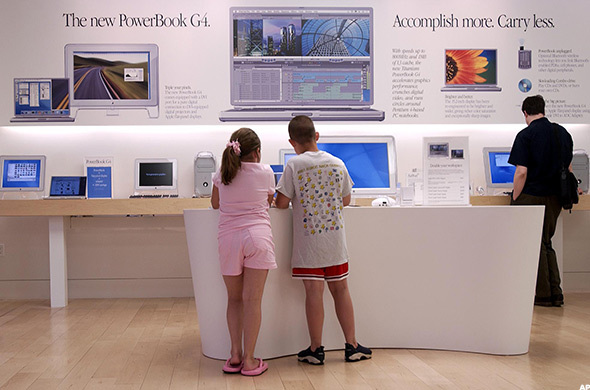 But those Apple devotees -- so obsessed with the latest hardware and software from the tech giant -- may fail to realize that the store housing the new digital swag largely hasn't been updated since 2001. 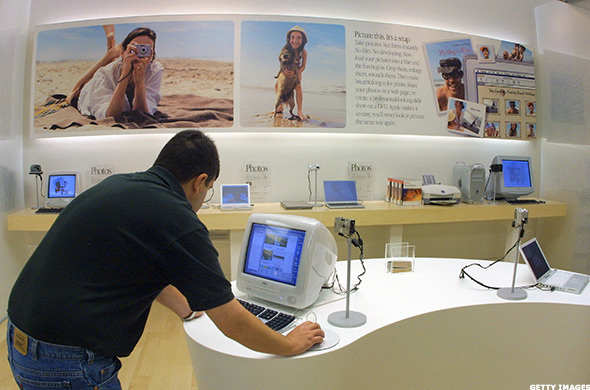 Actually, since the first Apple retail store opened on May 19, 2001, at Tysons Corner Center in McLean, Va., the interior buying environment has counted new wall photos (recent) as one of the only major enhancements. 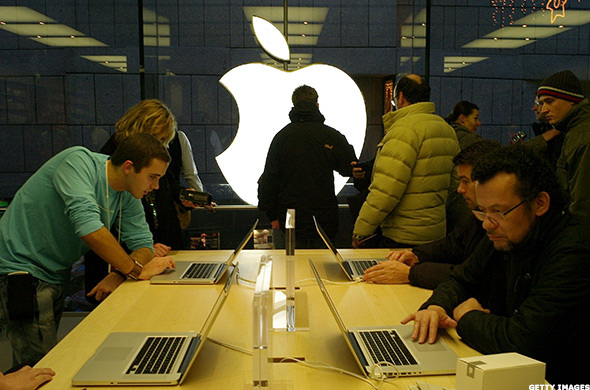 Sprucing up the interior of the Apple store is the job of former Burberry CEO Angela Ahrendts, who officially joined the company in May as senior vice president, retail and online stores. 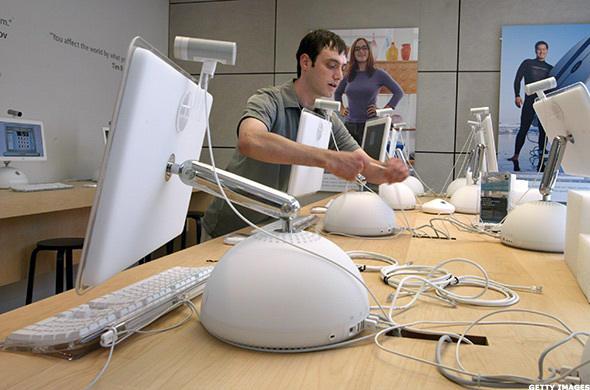 Ahrendts has embarked on a tour of Apple stores around the globe, and likely has a growing to-do list from all of this interaction. 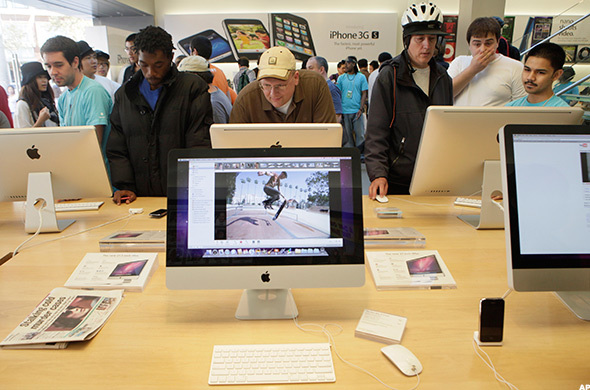 Ahrendts has to move quickly to introduce the Apple store of the future as competitive threats from Samsung shops at Best Buy (BBY - Get Report) and Walmart (WMT - Get Report) continue to sprout, and as Amazon.com (AMZN seeks a major position in the smartphone market, which may eventually include physical flagship retail stores. 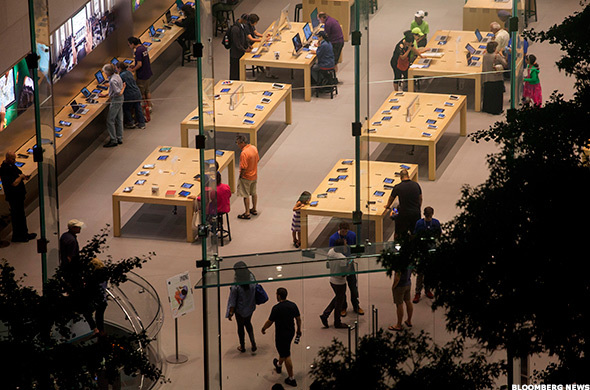 As of June 28, 2014, Apple's total future minimum lease payments under non-cancelable operating leases were $5 billion, of which $3.8 billion related to leases for retail space. 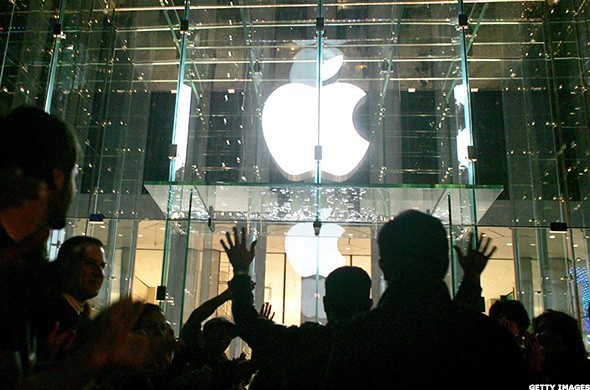 To ensure operating income continues to expand in its retail segment given those lease commitments, Apple must reinvigorate average revenue per store. 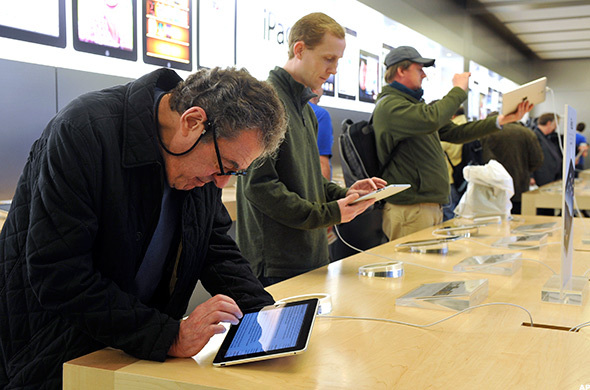 Average revenue per store declined to $38.8 million in the first nine months of 2014 from $39.3 million in the first nine months of 2013, according to Apple's latest 10-filing with the Securities and Exchange Commission. 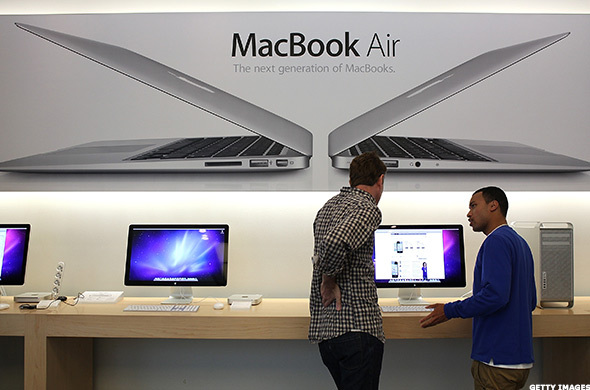 One of the main goals of the retail initiative is to bring new customers to the Company and expand its installed base through sales to both first time computer buyers and those switching from other computing platforms. 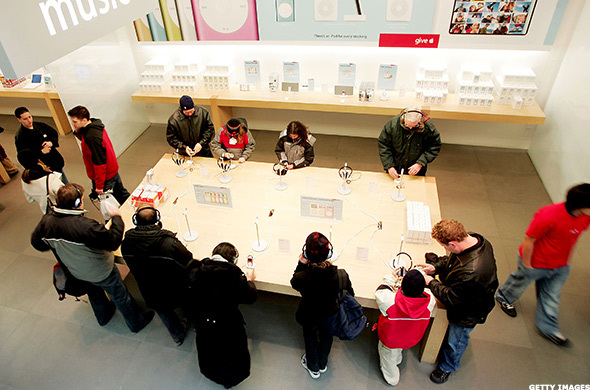 By operating its own stores, the Company is able to better control the customer retail experience. 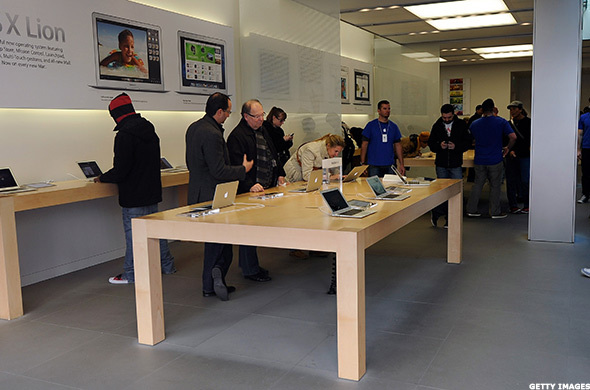 The stores are designed to enhance the presentation and marketing of personal computing.